Samsung has long been inspired by Apple's hardware design. Apple should "borrow" these Galaxy S8 features in return. Samsung just took the wraps off its new Galaxy S8 and S8+ smartphones in a bid to make people forget about last year’s exploding Note 7 disaster. While the Galaxy S8 has a few things working against it—namely that it runs Android—Samsung gave its new flagship an impressively slick redesign. We wouldn’t mind if Apple lifted a few of the S8’s features for its 10th anniversary iPhone. In fact, Apple is reportedly working on a few of these features already. We’re not saying that Samsung looks at Apple product rumors to define its own roadmap, but…anything’s possible. Look at that edge-to-edge display. Samsung’s basically bezel-less “infinity display” on the Galaxy S8 is bananas, to put it mildly. The new phone has an 83 percent screen-to-body ratio, which means this thing is basically all display—a Super AMOLED display, at that. 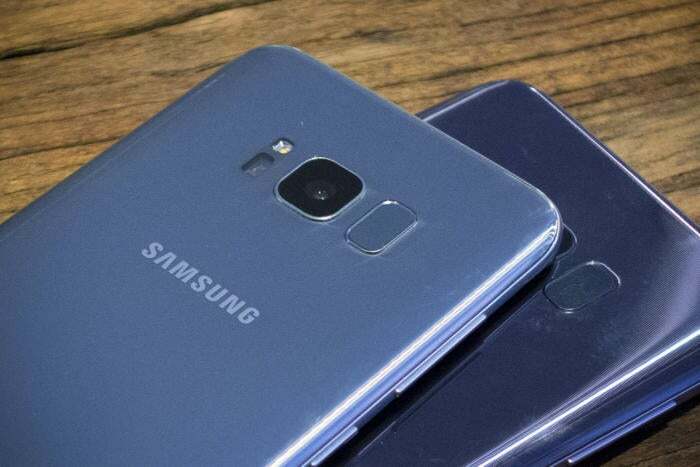 Samsung has also gone all-in with curved OLED screens, which Apple is also reportedly considering, though it’s unclear if the company has found high-quality suppliers that can produce enough curved OLED panels for all those iPhones. Samsung put the Galaxy S8's fingerprint sensor on the back, which we hope Apple doesn't do. With its vast screen, Samsung banished the phone’s physical home button. The S8’s home button is now beneath the display, so you can press the screen and the button will respond with haptic feedback (though our Greenbot colleagues report that the S8’s vibrations are nothing like the iPhone’s). Samsung kept its flagship’s fingerprint sensor, but moved it to the back—right next to the camera lens. This is a bad move, and one we hope Apple doesn’t follow. Rumor has it Apple is planning to embed Touch ID right into the iPhone’s display, which makes much more sense than sticking it on the back. The Galaxy S8 turns your face into the password you use to unlock your phone, with an iris scanner to recognize your “eyeprint” instead of a fingerprint. 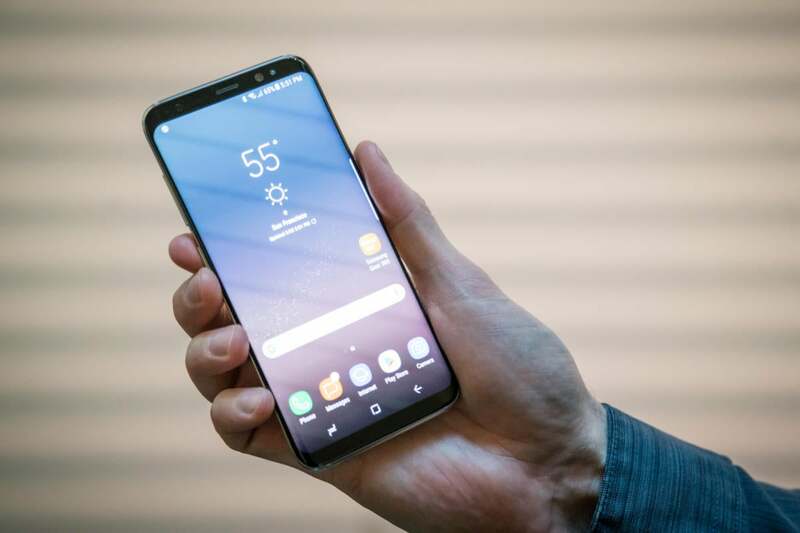 The S8 also uses biometric facial recognition, so you hold your phone in front of your face and the S8 will immediately slide into your home screen. Given that Samsung put its fingerprint sensor in such an awkward spot, this is a necessary design decision. But it’s also an insanely cool advance for smartphone technology, and something we hope Apple is exploring for the iPhone. Last year, Samsung acquired Viv, an AI-powered voice assistant created by the founders of Siri. Viv become the foundation of Bixby, the voice-activated assistant baked into the Galaxy S8. To be fair, the early word on Bixby is that it's incredibly limited and not as cool as it sounds, though Samsung didn't let anyone try it out before unveiling the S8. Apple is slowly improving its assistant’s capabilities, but its glacial pace of progress is due to privacy concerns. Apple doesn’t want Siri to store information about you or what you’re doing on your phone. Anyone who cares about protecting their data appreciates Apple’s premium on privacy, but there must be some middle ground that would make Siri smarter. Samsung redesigned the Galaxy S8 camera to include augmented reality. Samsung also introduced a new feature called Bixby Vision, which lets you use your camera to scan items. Bixby Vision will then overlay details about the item, such as a book, and give you a link to buy it. Samsung still has to prove that Galaxy S8's new safety-checked battery won’t set the phone on fire, which is a pretty low bar to clear. 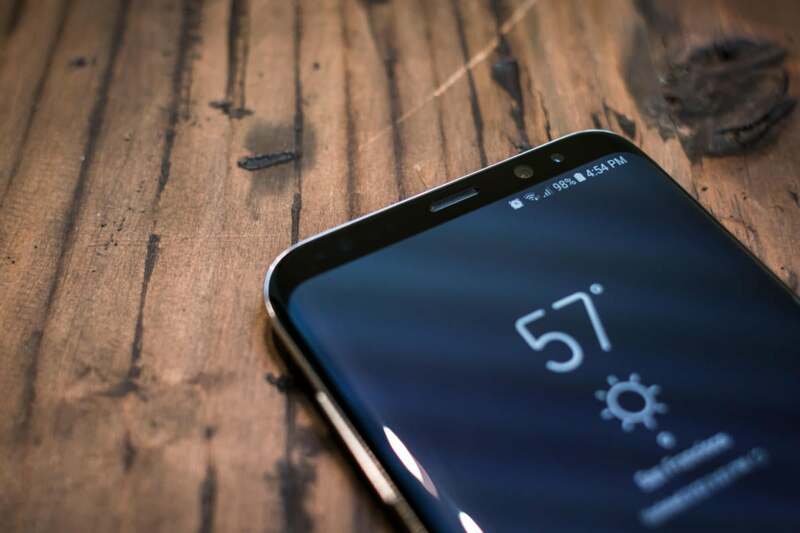 But the S8’s new features are ones we hope Apple is already working to perfect for the iPhone 8, which we expect to launch this September.